Paul Release from our shop which is not an exaggeration to say that we made standards standards for the performance items in Japan arriving in Japan in 2017. This time again the third sound source from the Budokan in the first day of the tour. “BUDOKAN 2017” which emphasized the presence at the very first release, “ONE ON ONE at BUDOKAN” of a brilliant balance of sound image and clearness is the sound quality image of items that have been released so far, The sound source of this time is “rich bass”. In a sound image like the balance between the past two titles, there is a rich bass added to it with an exquisite balance, our own own recorded recording. This power of bass is a big appeal different from the past two titles. 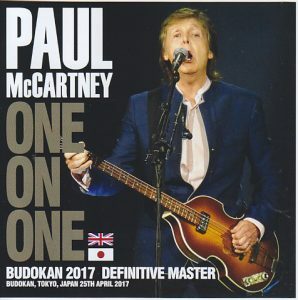 First of all, please listen to the sound of Paul’s bass that cuts into the intro of “Drive My Car” which became one of the Budokan special repertoire. It will be overwhelmed by the power of the localization area which is a little bit different from the sound source so far. The same is true for Better Let Me Roll It, which Brian Ray was playing on the bass, the baseline supporting that guitar riff beats out a powerful bass more than other sound sources. Even just listening to the first half of the live, you will be able to realize how bass is an attractive audience recording. Still, it is quite another dimension from the boomy recording state that bass is too conspicuous to blur the sound image and the outline of the performance. Even though the bass stands outstanding, overall, it has a very good texture. It may reflect on the ground when listening. However, it is undisputed that such a state of recording is intrusive, I hesitate to listen carefully to the gentle sound quality. Anyway, because the bass is an attractive audience recording, even the parts of the acoustic song are caught securely in low frequencies that can not be tasted by ordinary audience recording. Even in the songs like “Love Me Do” showing the excitement that the venue got together, not only the realistic sensation unique to audiences recording but also the bass that actually sounded at the venue at the Budokan on April 25, 2017 It is not an exaggeration to say that there is greatness of this sound source in the place that reproduces realistically. And it is easy to understand the difference in sound quality by listening compare with our items in the past, “I Wanna Be Your Man” this time as well. You should be able to understand that the direction of sound quality with our items in the past is totally different by “Nihonchatsukaai!” Performance at this Budokan. The sound source of this time is exhausted to the power of the bass as it has repeated so far. 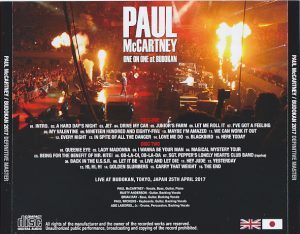 Even in “Being for the Benefit of Mr. Kite!” That Paul himself liked as a favorite baseline when he came to Japan, this unique sound source will reproduce that play without compromising. 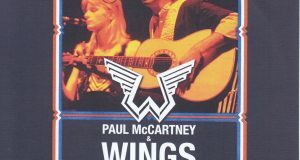 And at the end of the final “The End” below Paul, in the back where three guitarists are fighting a battle, even the baseline where the keyboard’s wicks were ringing is captured with surprising clearness. I think that you can understand how the third Martial Arts Center sound source released at this time press CD will be how to create a sound source with its own charm if you call up the points we’ve been writing to this far. 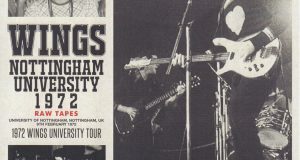 Especially not only the excitement of the first day of the tour but also the power of the bass that reminds me of “that sound” that was ringing in the venue of the day. 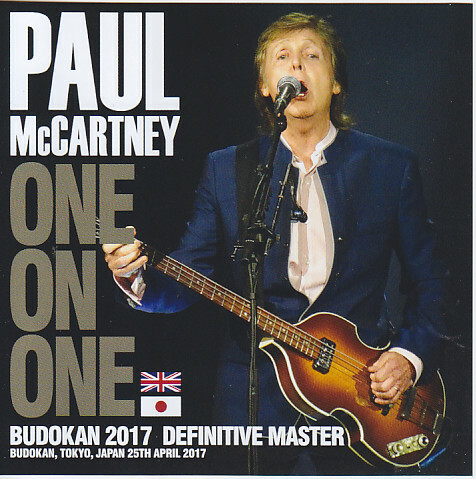 Paul from our shop 2017 Budokan release is a stop at this! 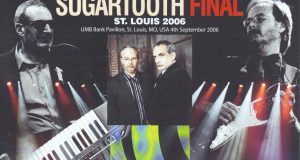 ★ It is different texture from our 2 already titled titles, it is a low quality sound quality, so it will receive a bitter impression, but the whole performance is tight, especially though the bass has been recorded so far, it is tightened It can be said that it is unusual. Rich bass is a recommended title, inviting new findings and surprises.